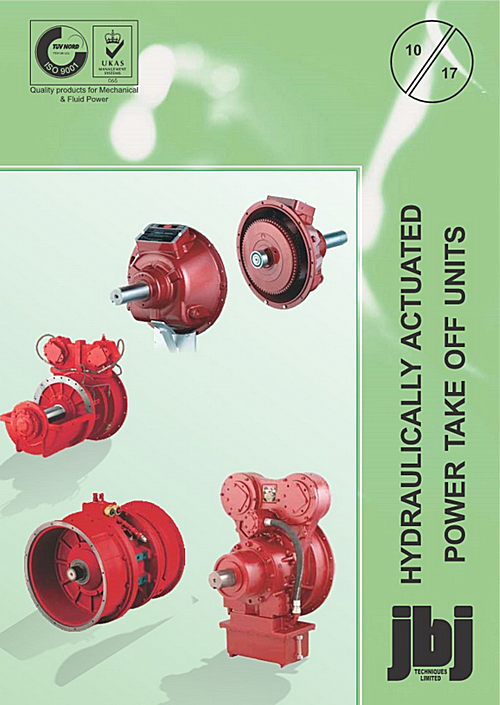 A robust range of power take-off units, gearboxes, clutches and pump drives. 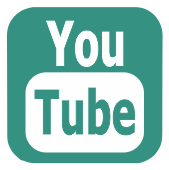 The four above links will direct you to the relevant technical specification catalogue. Summary of the range below.
. . . critical links in the powertrain of a machine or vehicle providing excellent overall performance and value. Consist of a complete clutch assembly with shaft and bearings mounted in a cast-iron housing for easy engine installation. Available in sizes up to 533 mm (SAE 21), these mechanical PTOs are ideal for many basic actuation installations. Remotely actuated versions are available for safer, easier operation and greater equipment design flexibility. Actual design torque capacity of the clutches used in these power take-offs is in excess of the power rating listed. This permits the power take-offs in proper adjustment to withstand temporary torque overloads. Rated torque can be transmitted while moderately slipping during short periods without permanent damage. » Suitable for Duty Class II industrial applications with internal combustion engines up to 1243 kW (1667 hp) and with standard SAE flywheel housing dimensions from No. 6 through No. 00. » Contain clutches ranging in size from one plate SAE 6.5 to one plate SAE 14; in two-plate size from SAE 11.5 to SAE 18; and three-plate size from SAE 11.5 to SAE 21. » Standard sealed pilot ball or roller bearings eliminate the lubrication requirement and shaft rifle-drilling normally encountered with standard pilot bearings. Also available as options: ball bearing throw-out collars and finger springs. » kW/horsepower and torque capacities listed can be increased by the use of sintered-iron clutch plates, which are available as optional equipment in the SAE 8 through SAE 21 sizes. * To avoid overloading the shaft and bearings, use the allowable side-pull load data in this bulletin, and calculate the side load. The resultant value should be less than the corresponding maximum value listed for each power take-off. Special power take-offs are available. These include the innovative straddle bearing concept and a limited-attendance PTO that contains a positive throw-out collar clearance mechanism and extended lubrication intervals. For original equipment manufacturers, special power take-off units can be designed to meet individual requirements when sufficient volume is indicated. Design variations can range from minor changes to entirely new concepts. The selections are usual dry clutch disconnect type applications where engagements are infrequent and are at low (idle) input speed. Once engaged operation continues for one hour or more, engaging the clutch at higher input speed will reduce component life. Refer to the following duty classifications and examples. » NET input power or torque to clutch. » maximum PTO output shaft speed. » calculated side-load (side-load applications). Find proper duty class along top row and SAE housing & flywheel size along left-hand column of the rating table on page 6. 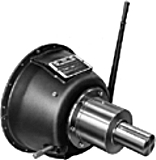 A PTO that has a power or torque rating greater than the calculated application power or torque rating is suitable for the application. 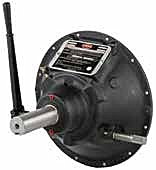 The PTO output shaft speed should be at or under the listed ratings for the drive rings. Use PTO output shaft speed and calculated side-load and refer to tables on pages 7 and 8 to verify that the side-load is at or under the load at the given speed. PTO sizing calculation example and ordering code example. 1 » SP series: Standard PTO line, up to 11388.87 Nm (8,400 ft-lb). Straddle bearing housing available. 2 » CA series: Standard in-line, up to 298.28 kW (400 hp). 3 » C(X) series: Standard, available in sizes 6.5" to 11.5". 4 » SL series: Spring loaded clutch, 11.5" to 14". 5 » TC series: Spring loaded automotive style 13" clutch. 6 » IB series: Heavy duty PTO line. Ventilated plates and drive rings. Up to 11388.87 Nm (8,400 ft-lb). 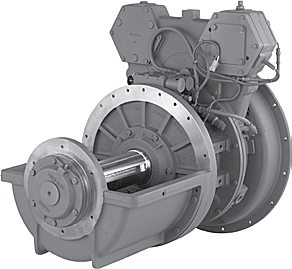 7 » RB series: Rubber block drive, no clutch disconnect, 11" single row, 14" double row. SAE 3 through SAE 00. SAE 11.5” through SAE 21”. Single, double & triple organic drive plate (standard). Capacity from 617 to 11,390 Nm. Side load or in-line applications. Tapered roller bearings on main shaft. Bronze or ball bearing throw out collar. SAE 1 through SAE 0. SAE 14” through SAE 18”. Ball bearing throw out collar. Double & triple organic drive plate. Capacity from 2197 to 10,170 Nm. In-line applications only - no side load. SAE 4 through SAE 3. Single & double organic drive plate. Capacity from 610 to 1220 Nm. Sealed for life main ball bearing. SAE 6 through SAE 1. SAE 6.5” through SAE 11.5”. Single organic drive plate – standard. Sintered iron available: 8” through 11.5”. Capacity from 216 to 525 Nm. (159 lb. ft. to 387 lb. ft.). Ball bearing on main shaft. SAE “A” through SAE “D” pads. SAE 4 through SAE 1 housing. SAE 4 through SAE 1. SAE 11” through SAE 14”. Capacity from 475 to 1356 Nm. Spring loaded clutch eliminates need for adjustment. Re-greasable main & pilot bearings. Capacity to 610 Nm. (450 lb.ft.). Sealed for life pilot bearing. SAE 1 through SAE 00. Sintered iron drive plate available. Capacity to 2197 to 11,390 Nm . Ventilated center plates & drive ring. SAE 3 through SAE 1. SAE 11.5” through SAE 14”. Direct drive - no disconnect. Hydraulic wet clutches . . . . The HP610S eliminates the need for manual adjustment and high speed engagement, while eliminating jammed engagements. • 358 kW (480 hp) total / 224 kW (300 hp) each. Designed For: Heavy duty side load applications. Further information including dimensions, weight, torque, etc » pages 17 to 18 of this catalogue link. With features similar to the HP610S, the HP300I also eliminates the need for manual adjustment and high speed engagement, while eliminating jammed engagements. • 783 kW (1,050 hp) @ 2,100 RPM. • SAE 1 and SAE 0. • SAE 14” and SAE 18”. • Optional Pump Drive Tower. Designed For: Heavy duty in line applications. Further information including dimensions, weight, torque, etc » pages 13 to 14 of this catalogue link. 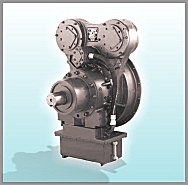 The HP1200 is an oil-filled, multiple disc, hydraulically-actuated self-adjusting clutch. The HP1200 has been developed with a number of unique features that offer reliability, productivity and power, including the following listed below. 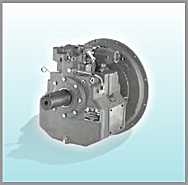 • Hydraulically actuated and self-adjusting wet clutch. • Suitable for in-line and side-load applications. 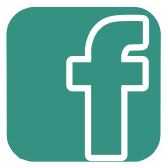 • Advanced control system for smooth engagement. • Remote actuation via J1939 or switch input. • High side load capability. • Maximum power rating 927 kW (1243 hp) @ 1800 rpm. • Two towers with two pump pads each. 298 kW (400 hp) maximum capacity per tower. 410.135 kW (550 hp) maximum capacity for both towers. • Available pump pads: SAE “A”, SAE “B”, SAE “C”, SAE “D”, SAE “E”. • Pump tower rotatable by 0°/45°/90° CW/CCW. • Optional 0.86:1 speed increase on pump tower. • SAE 0 input housing. 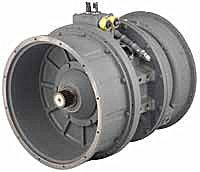 • SAE 460 (18”) input coupling. • Standard charge/lube pump included. Further information including dimensions, weight, torque, etc » pages 19 to 20 of this catalogue link. 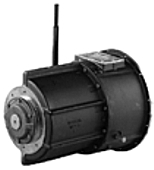 This series of compact and lightweight power take offs incorporates a hydraulically-operated clutch. Advantages include improved reliability, increased efficiency, longer lifespan and lower maintenance costs. • Self Adjustment (no more clutch adjustments). • Remote Control (Electric or Mechanical). • Elimination of the Pilot Bearing. • Soft and progressive starts of the load. Designed For: Stone crushers, wood chippers, grinders, marine drives (main propulsion and auxiliaries) and various centrifugal pumps, fans and blowers. Further information including dimensions, weight, torque, etc » pages 21 to 22 of this catalogue link. These power take offs contain an integral bi-directional oil pump, integral pressure relief valve and SAE pump mount or keyed shaft output. • 205 kW (275 hp) capability. • 12 or 24 Volt DC solenoid. 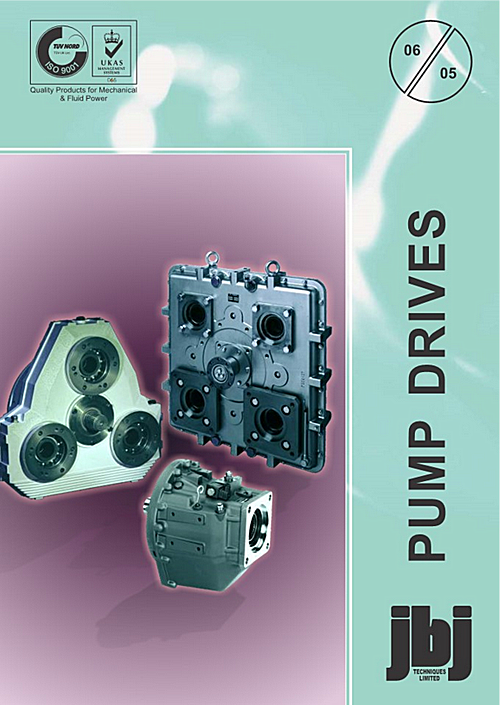 • SAE 3, 2 and 1 pump pad configurations. • 1000 kg side load capability. • 380 kW (510 hp) capability. 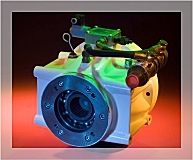 Designed For: Direct engine mounting or mounted to AM pump drive and compact applications. 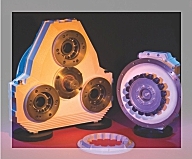 Free standing clutches of the multiple plate, oil bath type. These clutches are particularly suited to arduous applications and are capable of withstanding high radial loads. Further information including dimensions, weight, torque, etc » pages 1 - 3 of this catalogue link. Oil lubricated tapered roller main bearings. Advanced controls for high inertia loads. Optional sintered iron and composite plates. Suitable for side load and in-line applications. 6.21 to 6.89 bar (90 To 100 psi) engagement pressure. Optional sintered iron & composite plates. Standard ball bearing throw out collar. Creates suitable application torque capacity. Further information including dimensions, torque, etc » pages 3 to 6 of this catalogue link. » The HP500 hydraulic power take-off is an oil-filled, multiple disc, hydraulically-actuated self-adjusting clutch. The HP500 has been developed with a number of unique features that offer reliability, productivity and power. The HP500 has been designed for a wide range of heavy-duty applications including crushers, grinders, mulchers, dredgers, heavy-duty drills and many others. 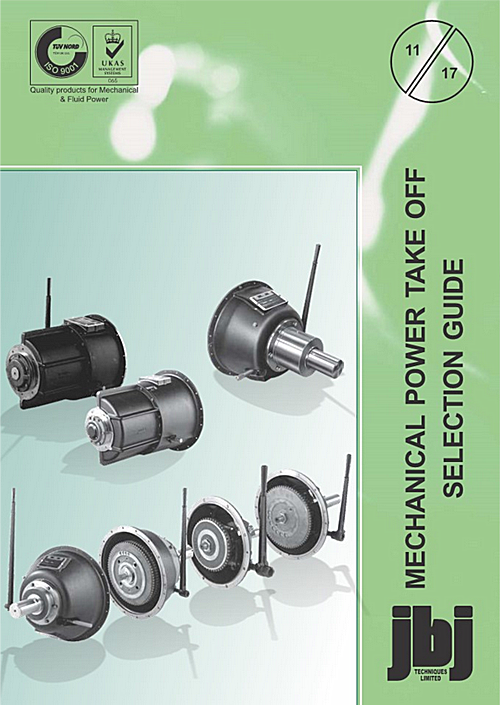 Further information including dimensions, torque, etc » pages 15 to 16 of this catalogue link. 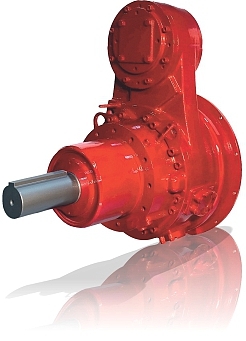 » RM version gearboxes are specifically designed for close coupling to industrial diesel engines and are available in either speed increasing or speed reducing format. 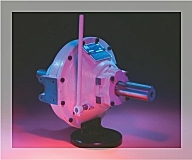 Gearboxes can be supplied with output shaft either same or opposite rotation to input shaft. 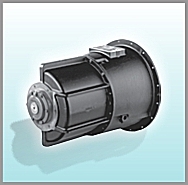 Input to the gearbox can be made either by rigid/flexible coupling or via a 'BD' series clutch. Follow this link to further information about the RM gearboxes. 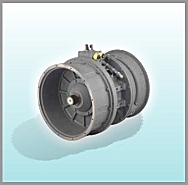 » BD series clutch for close couple to diesel engines with SAE style flywheel facility. Designed to mount onto any engine with flywheel and bellhousing conforming to SAE dimensions. 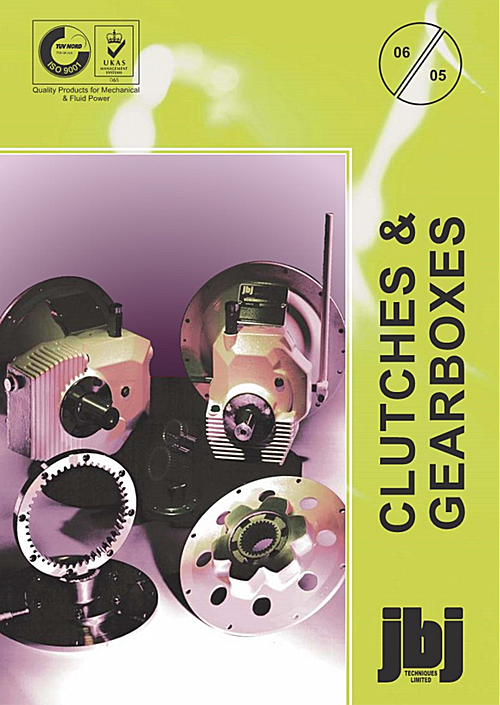 These clutches consist of an over-centre clutch assembly mounted onto a tapered shaft carried on two bearings. Mechanically actuated. » BDS series clutch for independent, in-line arrangements, capable of accepting high radial loads and transmitting powers of up to 850 kW as standard. 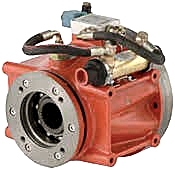 Versions are also available to close couple hydraulic pumps to the clutch output shaft. Follow this link to further information about the BD and BDS clutches. » Oil Bath Clutches are free standing, particularly suited to arduous applications and are capable of withstanding high radial loads. Follow this link to further information about the PFI60 and PFI120 oil bath clutches. Available in sizes up to 1067 mm (42") designed to provide maximum dependability and lowest installation and operating costs. 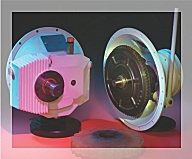 These air clutches are available in triple, double or single plate construction. » 203 (8") to 1067 mm (42") sizes. » Single, double and triple plate organic drive plate. » Capacity from 526 to 280,692 Nm (388 to 207,000 lb-ft). » Integral quick release valve. » Heavy, rugged teeth for long life. Available in a wide variety of gear ratios, including speed increasing and reducing configurations. 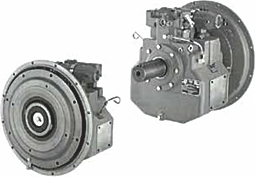 These pump drives are of modular design creating a choice of several input options, including a rubber block drive or clutch to match SAE engine flywheel dimensions. Can be independently mounted directly or with a clutch. SAE and non-SAE adaptor kits available. » Case hardened and ground spur gear, except select models where gears are shaved. » Viton seals on input shaft. 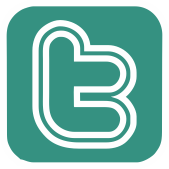 » Output rotation opposite the direction of input rotation. » Gear ratios identical on all outputs for each model. Link to further details . . .